10 has opted to flip timeslots for Sports Tonight and Hawaii Five-o from next Wednesday. This follows disastrous figures of just 30,000 for Sports Tonight this week. 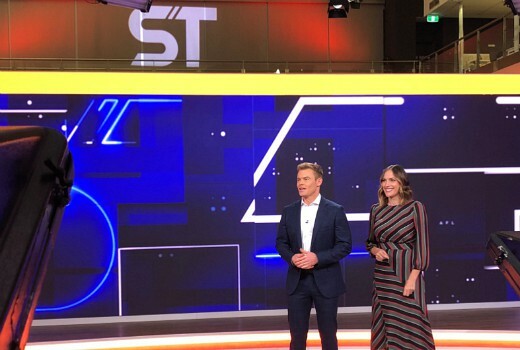 The local show broadcasts from the same Pyrmont studio as 10 News First and Studio 10, but it’s hardly worth turning on the studio lights for 30,000. The show features Scott Mackinnon, Roz Kelly and Ant Sharwood. What part of ‘No’ do Ten not understand? Why does it need 3 hosts? Even in it’s heyday it had just a single host. It’s good to see Ten move Sports Tonight forward to 10pm. An 11pm start was too late, and as mentioned, no one was watching. However, it would be nice if Ten actually advertised the show once in a while. There are others shows besides Bachelor and Masterchef that need that extra promotion. So now no one will watch it at 10pm instead….